President Trump and his administration were vindicated Tuesday, when the United States Supreme Court reversed the 9th Circuit Court of Appeals decision which held that federal Immigration and Customs Enforcement officials must immediately detain for deportation those entering our country illegally or they are exempt from ever being detained. The 5-4 decision, split along party lines, said federal officials can detain illegals at any time for possible deportation after they have served their time in the U.S. for other crimes. Read the complete opinion, including the wordy and contorted dissent written by Justice Stephen Breyer. Justice Samuel Alito delivered the majority opinion for the court. He was joined by Chief Justice John Roberts and Justices Clarence Thomas, Neil Gorsuch, and Brett Kavanaugh. In 1937, President Franklin D. Roosevelt (FDR), a liberal Democrat, was foiled in his attempt to “pack” the Supreme Court with 15 justices, allegedly to make it more effective. His actual motivation was to neutralize Supreme Court justices who opposed his “New Deal.” In the 1930’s, it didn’t have the word “Green“ preceding it, but his economic policies were just as extreme, as he used the Great Depression to shift the national tone from individualism to collectivism with the dramatic expansion of the welfare state and regulation of the economy. President Franklin Roosevelt was the reason the 22nd Amendment was added to the U.S. Constitution — limiting the length of time a President could serve to two-four year terms. Congress passed the amendment in 1947 (ratified in 1951) after Roosevelt was serving his fourth term. FDR died while in office, but the man who used a cigarette holder, spoke pompously and on occasion wore a silk top hat, clearly regarded himself as president for life. The Great Depression, with its staggering unemployment, so devastated Americans, many were reluctant to change the nation’s leader, who was worshiped by some and reviled by others. Those dire years were followed by the Japanese bombing attack on the U.S. fleet stationed in Pearl Harbor, Hawaii, which lead to America’s entry into World War II, thrusting the United States into further turmoil. Roosevelt was succeeded by then-Vice President Harry Truman a plain-spoken former haberdasher but decisive leader from Missouri, who never let his political office keep him from the walks he called his “morning constitutional.” On his desk was a sign declaring, “The buck stops here,” acknowledging he ultimately bore the responsibility for the often difficult decisions he made. 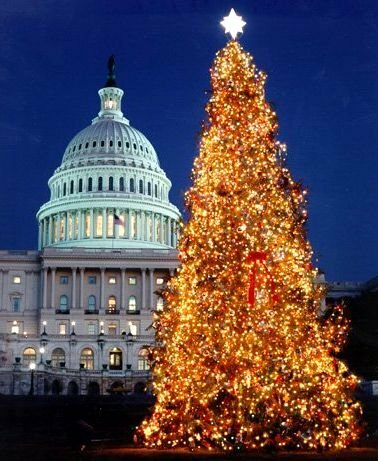 With sincere best wishes for a Merry Christmas to all of our readers. May the peace and goodwill of this season be with us all. We express our gratitude to our service personnel, many stationed far from their own families, who ensure our countless freedoms. We also ask for God’s blessings on President Trump, First Lady Melania and their entire family. 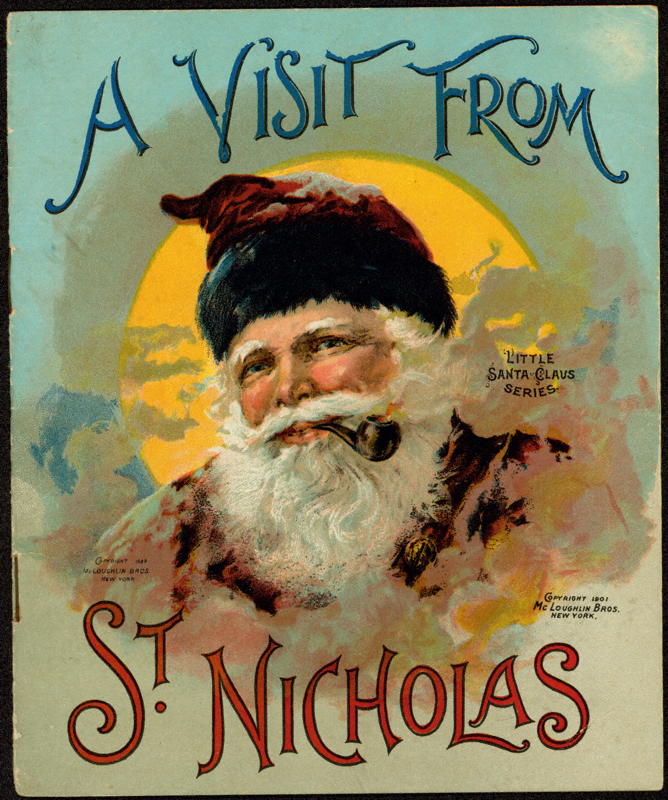 As is our tradition on December 24th, we present what was originally titled, “A Visit From Saint Nicholas.” It was penned by theological scholar Clement Clarke Moore in 1822 as a gift to his children. Today marks the 77th anniversary of the Pearl Harbor attack, which led to war with Japan. More than 2,400 Americans were killed and nearly 1,180 injured when stealth Japanese fighters bombed and sank 12 naval vessels and heavily damaged nine others. The USS Arizona still lies beneath the harbor with its dead entombed. The ship sank in less than nine minutes after a 1,760-pound armor-piercing bomb penetrated its decks and exploded in the ship’s forward ammunition magazine. 1,177 sailors and marines on board were killed; 337 crew members survived. Other major installations on Oahu, such as Wheeler Field and Kaneohe Naval Air Station, also were attacked. View LIFE’s photos of the attack. The Pearl Harbor Visitor’s Center features galleries, interactive exhibits, two movie theaters, an amphitheater and an education center. For more history of the date we should never forget, visit the U.S. Department of the Interior National Park Service site here and the Naval History and Heritage site here. View President Franklin Roosevelt’s famous “A date which will live in infamy” speech (Original Draft: page 1, page 2 and page 3) and declaration of war following that unprovoked attack. 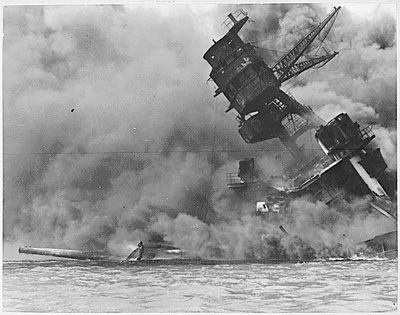 USS Arizona Commander Daniel J. Condon was among the survivors of the attack. A medical doctor, he later served as the Medical Examiner for Maricopa County. His sword & belt were salvaged from the ship. His sword is on display at the Arizona State Capital, and his sword belt is displayed at the University of Arizona Museum. Dr. Condon died in 1992. The Houston Chronicle reports on the life and political history of George H. W. Bush, a single term Republican president. Many remember him dooming his second term presidential aspirations with this now famous 1988 statement: “Read my lips, no new taxes!” It was a pledge he reneged on amid looming budget deficits and fierce Democrat opposition. Bush “41” was a two-term Vice President to President Ronald Reagan. During his own presidency, he made a positive impact on the U.S. Supreme Court when he appointed federal appeals court judge Clarence Thomas as an associate justice in 1991. A World War II hero and patriarch of a political dynasty, he was the father of President George W. Bush and Florida Governor “Jeb” Bush, who lost his own bid for the presidency.